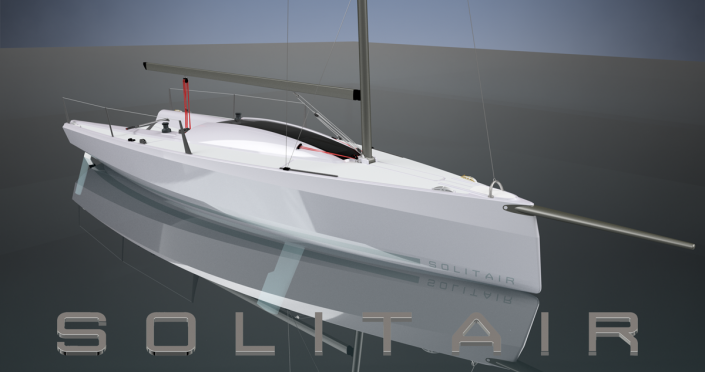 The Solitair 28 is a sailboat with a length of 28ft (8.50m) designed for singlehanded sailing. 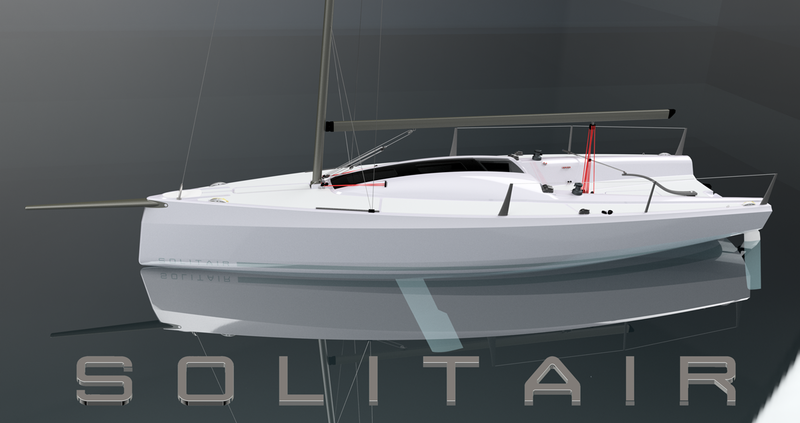 It is a concept without a jib, so only with a mainsail and a gennaker. Weight stability is achieved by water ballast tanks, which can easily be filled with electric pumps. The gennaker is hoisted from a shute. The boat is easily trailerable by using a retractable keel and also the mast is easy to stow, because the mast is sliding below the deck in a box. 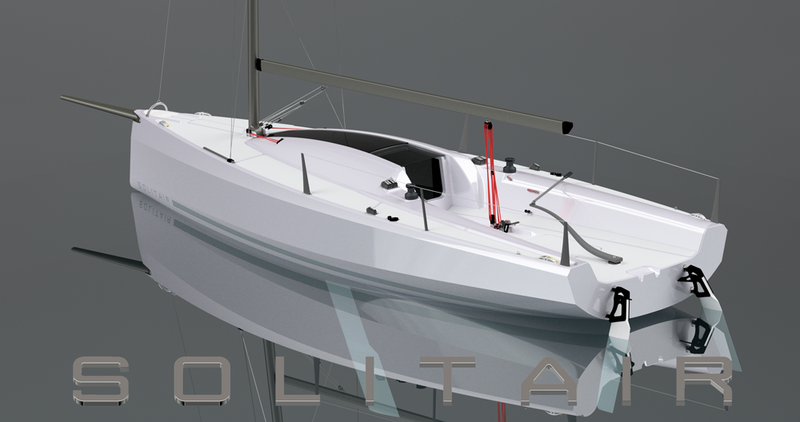 By designing the boat entirely in composite, the boat remains light and will be exciting to sail. 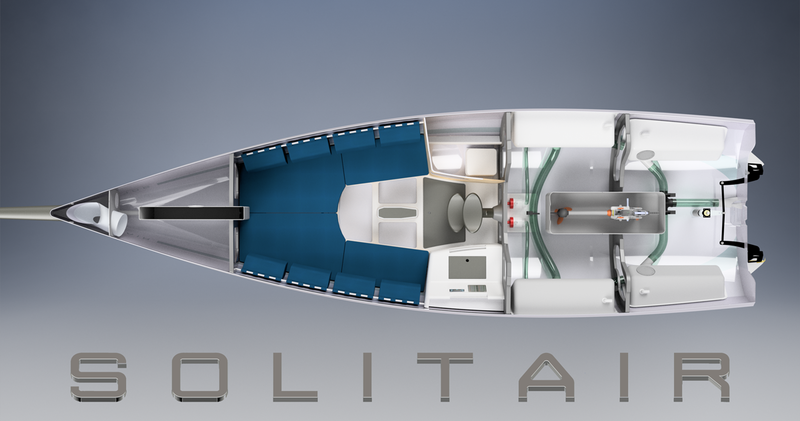 The interior of the Solitair 28 is practical and simple. 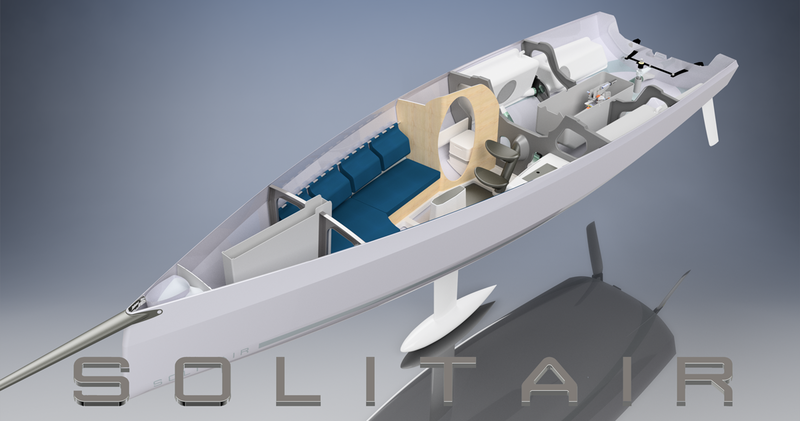 A galley / card table has been realized on the port side and a toilet area on the starboard side. 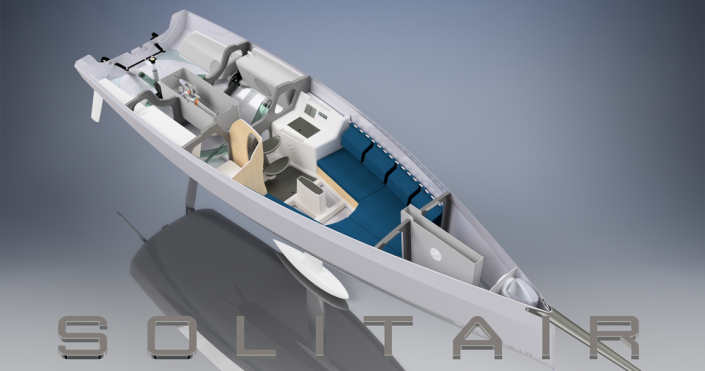 In front of the galley, card table and toilet space, 2 longitudinal benches are situated, where you can sit or sleep. In addition to the use for singlehanded racing, the Solitair 28 can also be used perfectly for cruising with 2 people.